The baseball season may be three weeks away, but you can get a head start this morning: The Setup Man is now on sale. 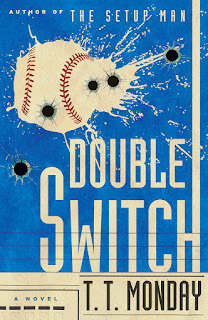 The scouting reports have been stellar: "a must-read book" (The New York Post); "a treat" (Kirkus Reviews); "a clever debut" (Publishers Weekly). Early feedback from readers suggests the book may be habit-forming. I have already been blamed for one reader's loss of productivity. Caveat lector: This is not a self-help book. I unleashed Johnny Adcock on the world; what he does from here is his business. It is a post which is enjoyed by all. the books the writer is talking about are habit forming. It is an excellent post and i'd urge you to keep it up. Thanks.